I think perhaps it is tradition by now for me to run a little giveaway for you guys during my birthday month. I get gifts, you get gifts, it's all a big party and October is once again the best month of the year so far (sadly it still doesn't beat Christmas... yet). I'll be turning 24 on the 20th of this month and for once I'm kind of okay with it. Last year I sulked because I didn't want to be 23 one bit, and I am pretty sure next year I'll have a cry over being half way through my twenties already, but lets not think about that okay, OKAY?! 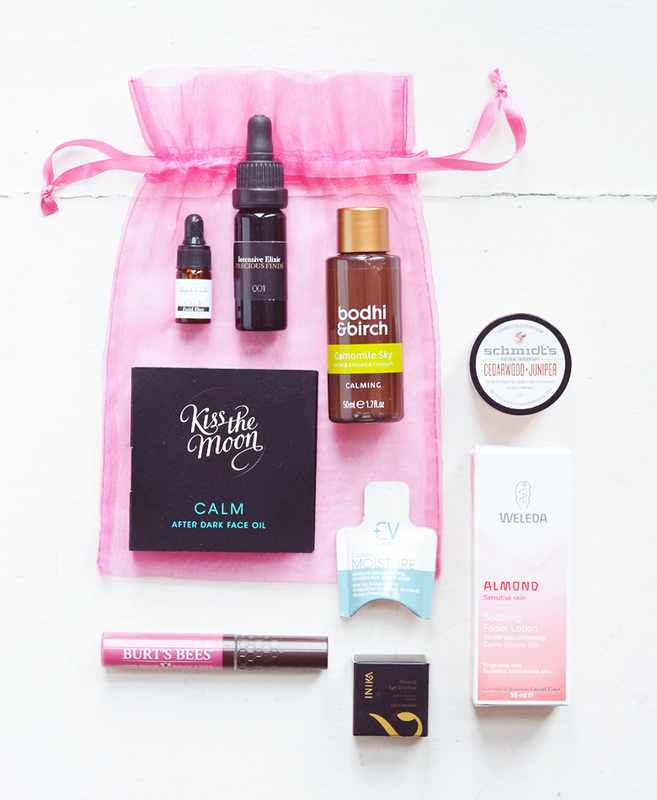 I have been gathering beauty bits up for several months now waiting for this moment, I hope you will love my selection - there's a lot to try. I like creating little selections of goodies for you to win, I think it's more exciting that winning just one item (unless that one item happens to be amazing!) and you have a good few bits to rifle through when you get the parcel (maybe even a few surprises, too!). The selection I've put together feels perfect for the coming colder weather, there's lots of nourishing oils and lotions to keep you moisturised all winter long, plus a pretty eyeshadow and lipgloss combo. Inikia Cosmetics Mineral Eyeshadow in a Taupe shade. The giveaway runs until the 31st October. There will be ONE winner & you will have 48 hours to respond via twitter or email before another winner is chosen.